A new piece from The Verge questions whether our approach to trolls online has been wrong all along. The article makes a convincing argument: by refusing to engage with trolling behavior, are we as brands and people doing the internet and society at large a huge disservice? It all harkens back to Cliff Pervocracy’s analogy of the “missing stair,” where everyone works around the obvious dangers of a situation because they are so used to “dealing with it” by outright ignoring it. If someone speaks up about the danger, they are dismissed. Why complain when you can “just hop over” the missing stair? But on a systemic level, it all adds up to something so much more than a mere missing stair. For many people on the internet — especially women, people of color, and the LGBTQ community — it is an entire broken staircase, full of loose nails, jutting floorboards, and impossible leaps. And there are so many others who don’t notice it because they either get to use the elevator or are already on the top floor. Not only does this sort of ignorance function as a kind of tacit permission, but it also ignores the inherent threat of the troll’s true intent. What the troll, the stalker, and the abuser really want out of the situation is to feel powerful and in control. And they will not stop until they feel it. Therein lies the most horrible aspect of the “don’t feed” mantra: rather than doing anything to address the trolls, the more tangible effect is to silence the victim and the reality of their abuse, or worse, to blame them for it. For far too many who promoted this idea, the true goal was silence, to avoid facing what is happening and the impossible responsibility of it. Of course, there are the one-offs that do simply go away when ignored. But the big picture is complex and worrisome. Although brands and companies play a small role, there’s clearly a continuing need to set and enforce boundaries about what conduct is acceptable and what is not. The powers that be in social media can’t just make it about who is saying bad words, try to algorithm their way out of the problem, or play every side in the name of “fairness” when it leaves so many of us to the wolves. They have to make an ethical choice about what they really believe and what ideology they want to represent moving forward. Because they cannot reap the reward of what they have built without taking on the responsibility and the cost of it, too. Why it’s hot: We talk a lot about brands and their values. 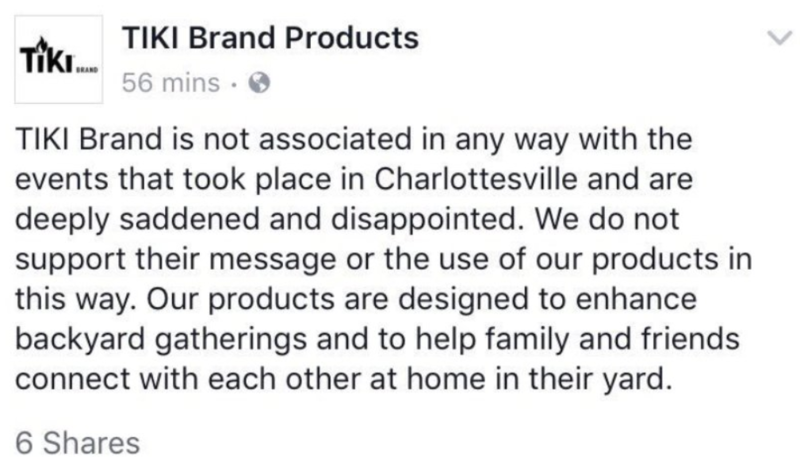 Those values need to translate to social media policies and general online rules of engagement wherever these brands have presence. “Don’t feel the trolls” as a blanket statement may dismiss winning opportunities to stand for something. Think you’re safe from Facebook’s political ad disclosure requirement? 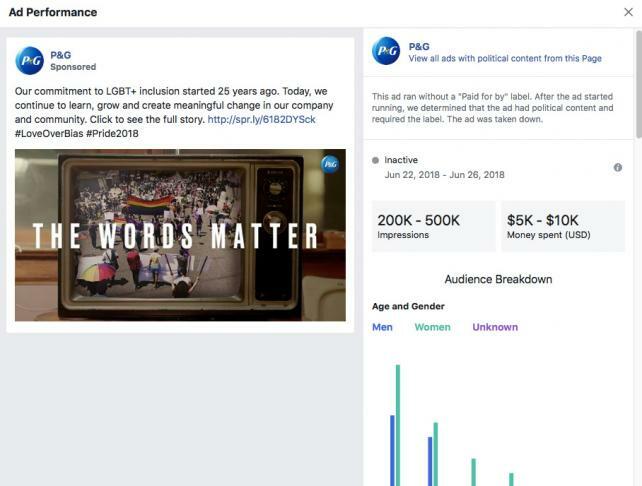 From Ad Age: “The political ad policy has raised concerns among publishers and media companies that pay to promote their headlines on Facebook. They argue that the required labeling and archiving will make Facebook users confuse their journalism with advocacy. But it was just a matter of time before consumer goods, retail and auto brands got caught in Facebook’s political net, too. 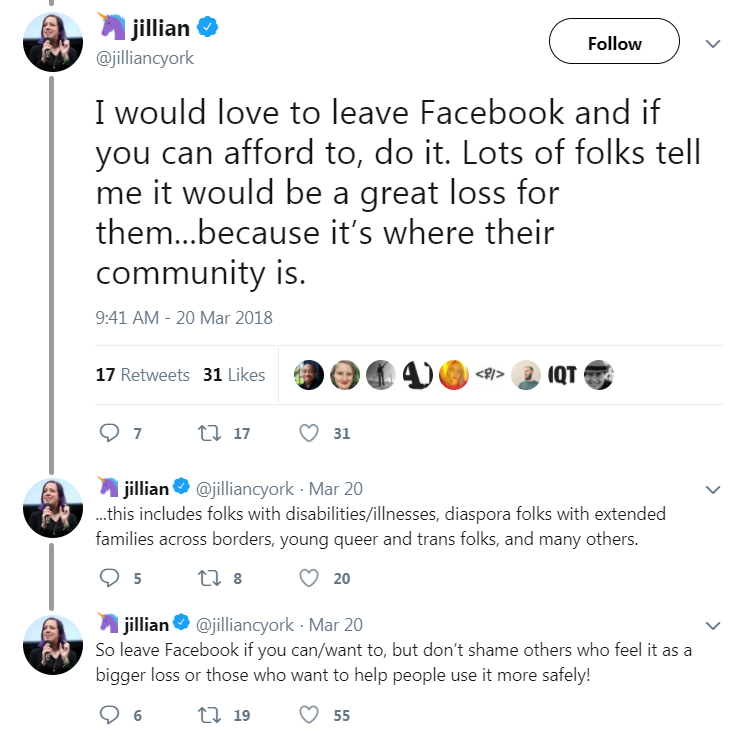 Why it’s hot: It’s likely that this is just an initial posturing tactic from the platform to let brands and political campaign advertisers know they’re serious about enforcing the new rules, but we need to be aware of the risks and how to prevent crossing Facebook’s thin “political” line in the meantime..
Why it’s hot: Nothing new. Just re-emphasizing the reality that brands need to be prepared for a social media crisis that could come from the most unexpected of places. 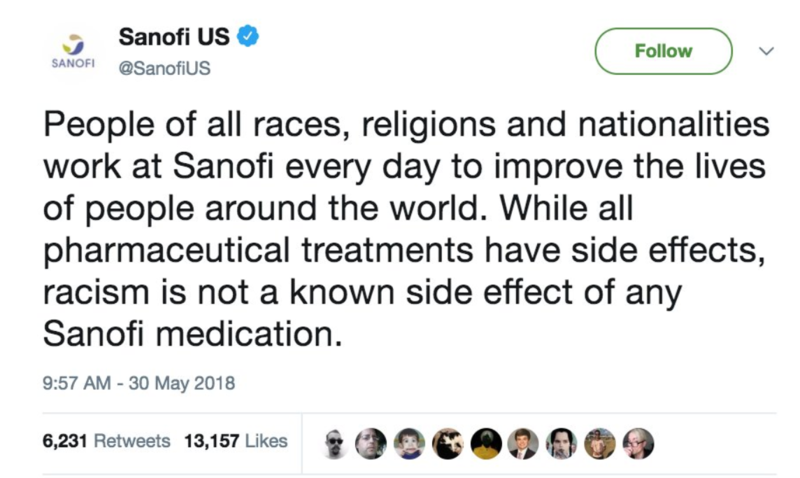 Ambien, anyone? 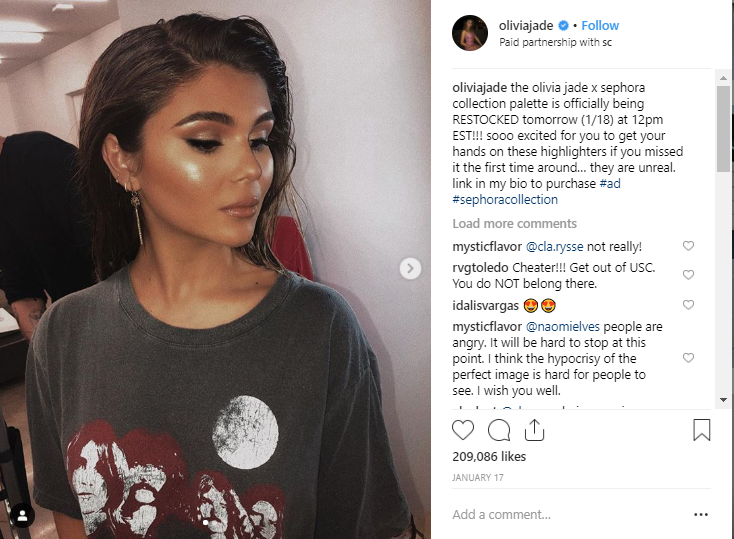 It’s not new, but the trend is growing – brands are increasingly being held to account for their ties to politicians, celebrities and other influencers, networks and publishers. Parkland school shooting victim David Hogg, for example, sparked a social media boycott movement that compelled 24 brands (and counting) to drop their advertising support for Laura Ingraham’s program on Fox News after she personally attacked him on-air. (They included such household names as AT&T, Hulu, Wayfair and Bayer). Even though it was simply a matter of re-allocating broadcast placements, brands were forced to take a look at the situation and decide in a public-facing way which side they were on, ethically and financially. 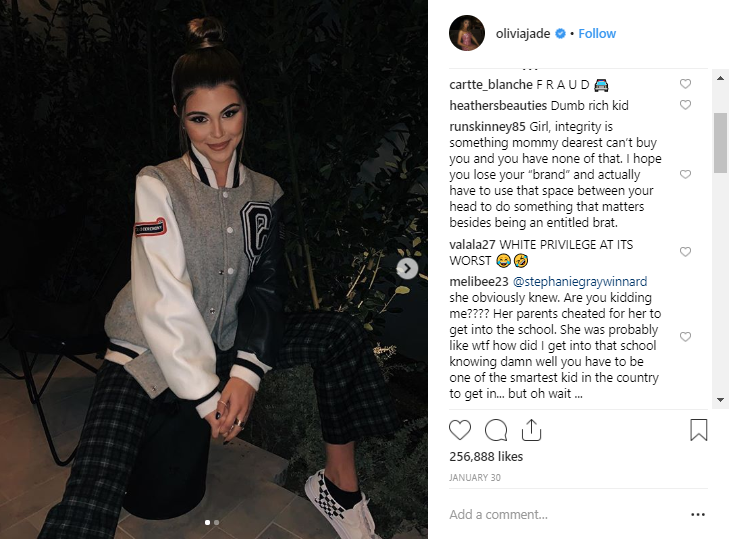 And we see it over and over – audiences take to social media to demand an apology, an action, or a comment from brands as a result of events and connections far outside the brand’s scope of control. And the consequences of mishandling the response (Starbucks?) can amplify the scrutiny. 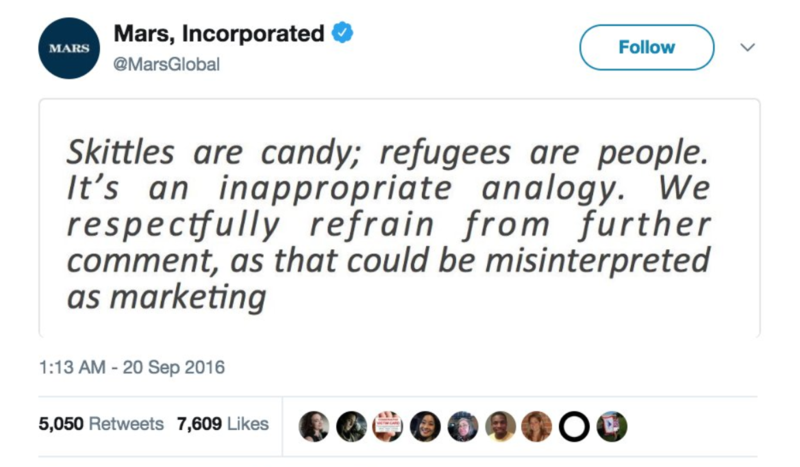 Why it’s hot: Brands who may not think they have anything to worry about should consider that they very likely may find themselves unwittingly sucked into a moment where their current and future customers are looking for a transparent, purpose-driven response. Now is a good time to plan. This intriguing TED talk from Jaron Lanier paints an optimistic and entirely plausible vision for a “new internet” in the wake of the Facebook debacle and other concerns about privacy, regulation and data. Lanier reflects on a “globally tragic, astoundingly ridiculous mistake” companies like Google and Facebook made at the foundation of digital culture — and how we can undo it. “We cannot have a society in which, if two people wish to communicate, the only way that can happen is if it’s financed by a third person who wishes to manipulate them,” he says. Why it’s hot: About 10 minutes into the talk, Lanier gets into the concept of subscription-based social media platforms, which many have dismissed – because they say “I’d never pay for Facebook”. But Lanier’s analogy is apt – he likens paying for social media and journalism to the golden era of TV we’re all currently enjoying. Pay for Netflix, get great content. The answer won’t exactly be “pay for Facebook”, but the thinking paves the way for an optimistic view of the future of personal data, privacy and subscription-based services that also benefit advertisers. Complete with cutesy gifs that harken back to the Geocities and Angelfire era of web design, the NYT Style section has crafted a comprehensive FAQ to answer all the questions you never had about the upcoming royal nuptials. Why it’s hot: Is it good? Maybe not. Is it fun? Yes. 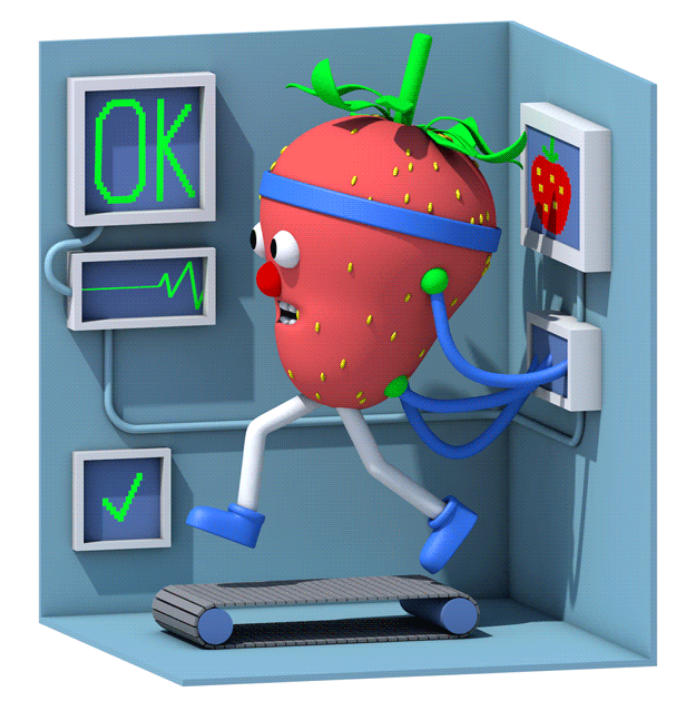 Artificial, and [somewhat] intelligent: Can common sense be taught? The goal is to inform a new approach to machine learning that yields better AI experiences. Basically, looking for ways to teach machines common sense and worldly experiences, rather than limiting them to one area of competence and one narrow set of performance benchmarks that create less-than-desirable experiences for end users. Language systems that rely on machine learning can often provide convincing answers to questions if they have seen lots of similar examples before. A program trained on many thousands of IT support chats, for instance, might be able to pass itself off as a tech support helper in limited situations. But such a system would fail if asked something that required broader knowledge. Such a question is easy for anyone who knows plastic is not something that grows. 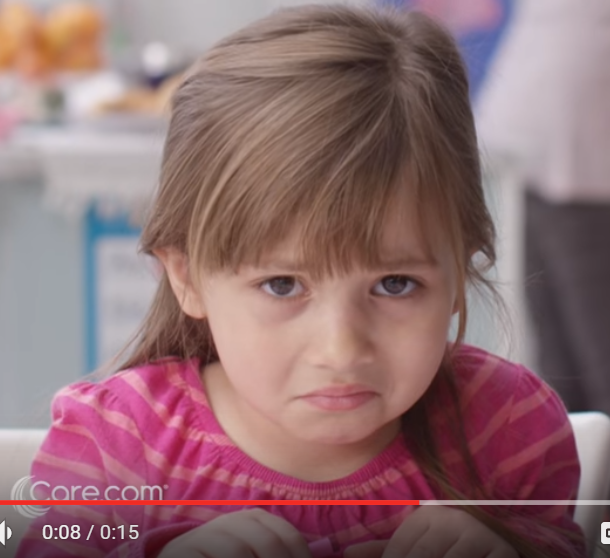 The answer taps into a common-sense picture of the world that even young children possess. It is this common sense that the AI behind voice assistants, chatbots, and translation software lacks. And it’s one reason they are so easily confused. Why it’s hot: This new approach to testing AI voice command tools like Alexa, Siri, and Google may help lead to breakthroughs and improvements in the space that open up new possibilities in communication. 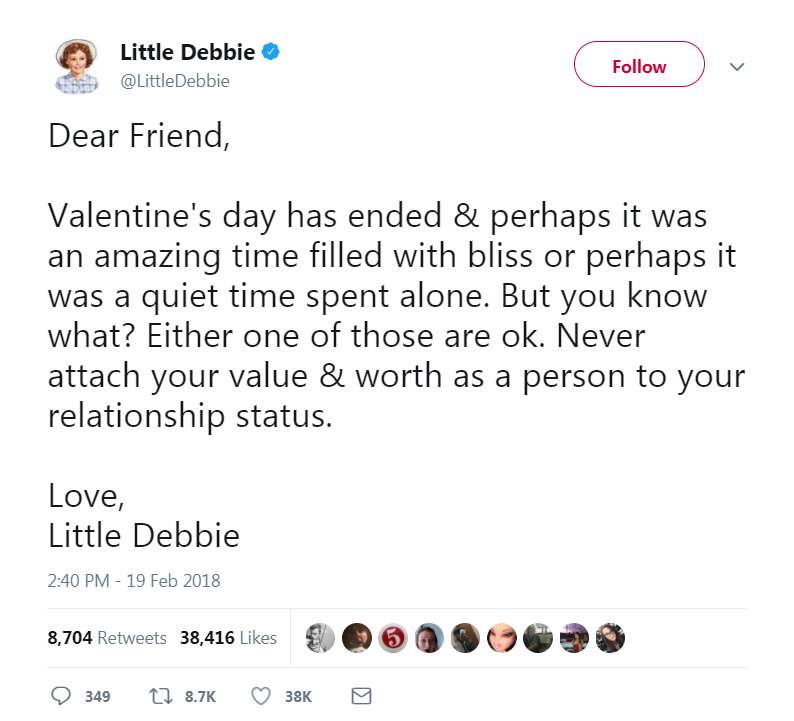 To everyone’s surprise, a few days after Valentine’s Day, snack cake brand Little Debbie posted a tweet about the holiday, which quickly went viral. Why it’s hot: While brands seem to be falling over themselves to try to figure out how to bottle and imitate that Wendy’s sass or Steak-Umms/Moon Pie je ne sais quoi, Little Debbie seems to have hit on something that people are really craving right now: unabashed positivity. The account’s content doesn’t shy away from earnest and endearing, which seems perfectly aligned with the nostalgic brand’s personality without being over the top. By sticking to and being confident in their brand heritage, they’ve managed to stand out from the pack by simply letting Little Debbie be herself. 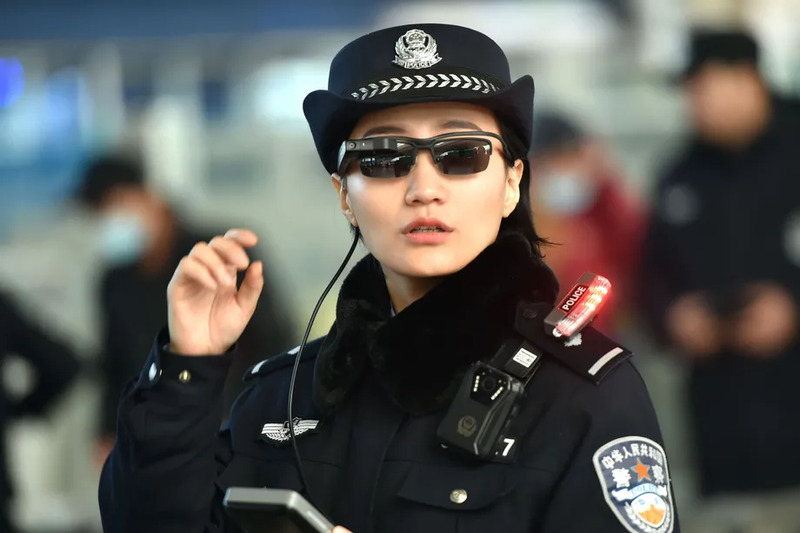 Chinese police have begun using facial recognition glasses to perform surveillance in public spaces, starting with train stations this Lunar New Year. This is a period of extremely busy holiday travel, often described as the largest human migration event on Earth, and police say the sunglasses have already been used to capture seven suspects wanted in major cases, as well as 26 individuals traveling under false identities. Why it’s hot: You thought Google Glass may have died a few years back, but it and devices like it are only just finding their legs. Black Mirror-esque, surveillance state problems aside, it is interesting and there could be some cool ideas to explore in revisiting how this tech can plug into different existing platforms/apps using features they already have, like facial recognition or geo-tagging. 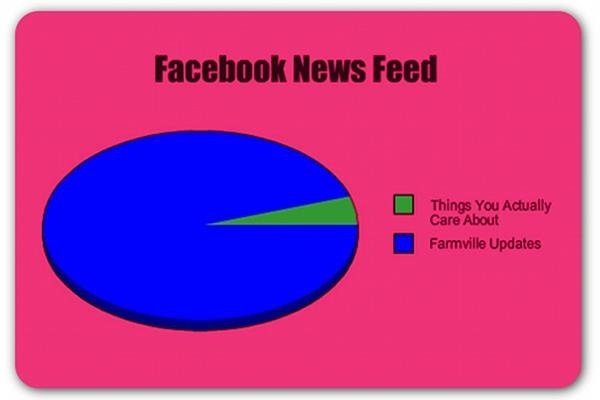 Facebook recently announced a new round of changes to the personal feed experience. 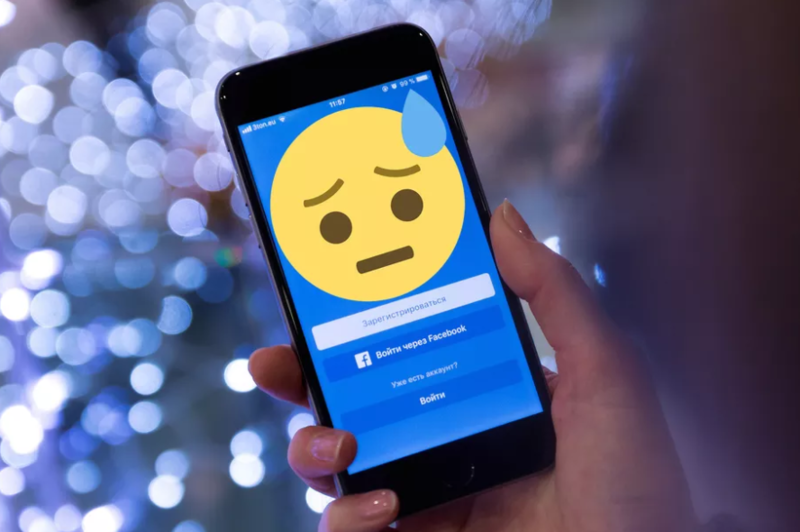 As part of a broader initiative that included an update to the company’s mission statement, Facebook is in the process of implementing updates with the goal of making connections on the platform feel more meaningful and personal to users. Mark Zuckerberg has openly said it may lead to people spending less time on the platform, with the hope that the time people do spend there will be of higher quality. Why it’s hot: Facebook has promised the changes will not affect advertisers who pay to ensure their content is seen (a strategy adopted by MRM well ahead of this latest announcement), but it’s hard to believe that we won’t see some impact on engagement with branded content if users are spending overall less time on the network.Facebook should by no means be discounted from a multi-channel strategy, but now is a good time to review how you’re thinking about the platform. Facebook has taken many steps post-election to mitigate the proliferation of “fake news” and engagement-baiting content, so brands who have not been actively following and responding to the developments will need to re-assess their content strategies and course correct for the platform by adjusting cadence, promotional strategy, and creative. Why it’s hot: A reminder that social media isn’t just fun and games, for better or worse, and we need to be mindful of that as strategists when we think about the context and attitude with which our content is being viewed. Also, what happens when you maybe forget to adjust your content to account for what’s going on in the world that’s causing the daily joys, goals, fears, insecurities and anxieties of your active user base. Amid investigations into how Facebook and other tech giants may have dropped the ball on regulating Russian propaganda disguised as US political ads during the 2016 presidential election, and revelations of tax haven practices at firms like Apple in the Paradise papers, questions are being raised about how tech is regulated – or not, and what to do about it. Why it’s hot: One of the comparisons being drawn, and questions being asked, is why aren’t tech giants treated like ad firms and media companies, and held to the same regulatory standards? The proposed solution is to institute a regulatory body not unlike the FDA that would oversee the installation and enforcement of rules and regulations on social media, search and other platforms that are currently able to position themselves as tech rather than media companies. This could have huge implications for marketing and advertising, in terms of cost, availability of inventory, and the potential restrictions and guidelines placed on creative. 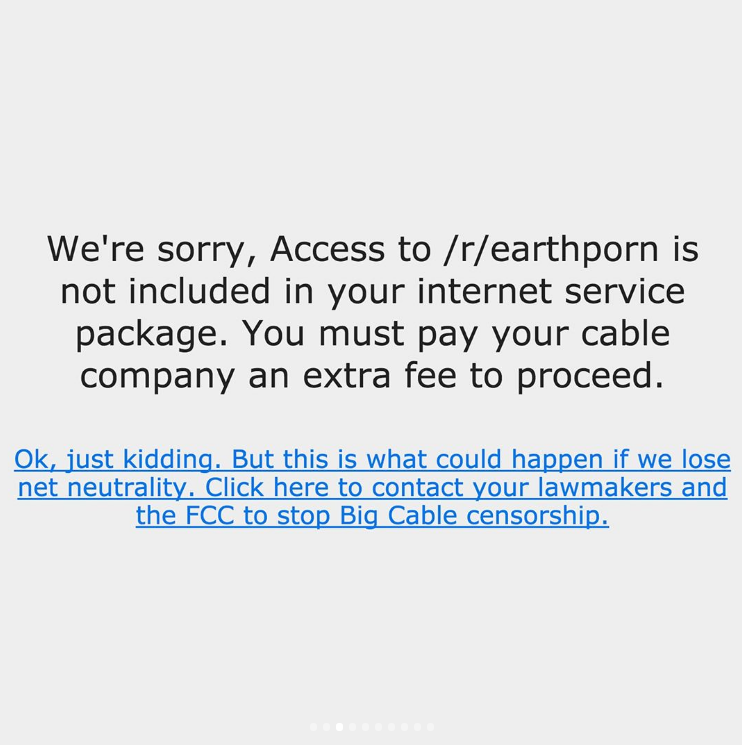 It also could change the internet as we know it, creating a “splinter web” where different countries impose their own regulations (we already experience this to an extent in the EU and Canada), which would have a big impact for global accounts. 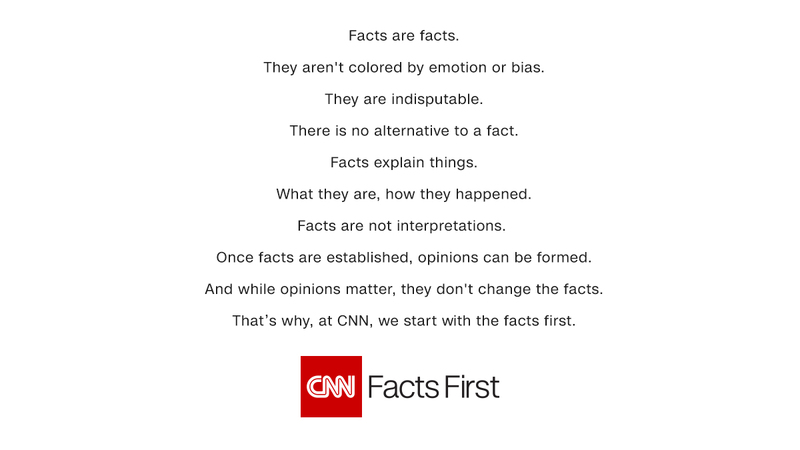 CNN’s Creative Marketing team with agency Figliulo&Partners has launched a new campaign, “Facts First.” The ads are running across social media platforms and interactive display media, supported by a landing page destination that features the full length “apple vs. banana” video. The simple execution suggests this may be a running campaign for the publisher that features different juxtapositions of truth vs. fiction in future, but so far is getting mixed reaction from vocal corners of the internet. Why it’s hot: On one hand, it feels like a news publisher taking a powerful stand in the name of journalism and the free press. 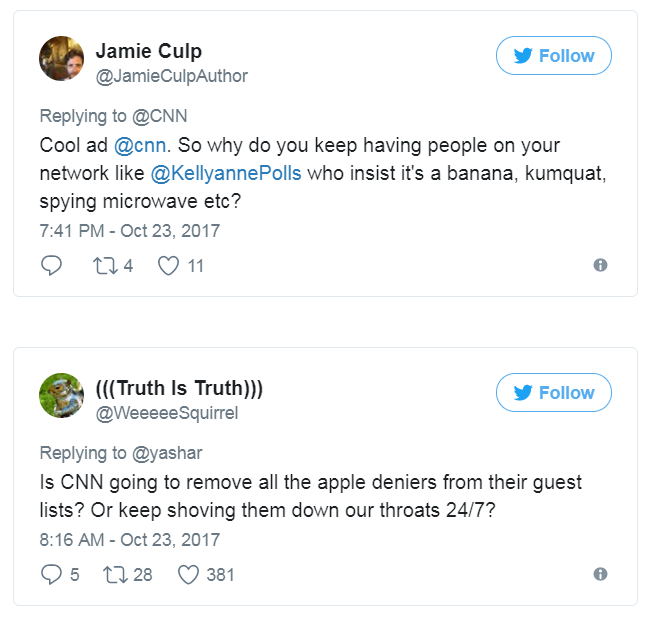 On the other, CNN is being called out on Twitter and by fringe media outlets for what critics see as the network’s hypocrisy in their penchant for giving airtime to pundits who peddle half-truths and outright lies. It will be interesting to see if this campaign unfolds to something more substantial and is the start of a cultural, content strategy and operating procedure overhaul at CNN, or if it’s merely a timely but ultimately empty ad campaign that’s just preaching to the network’s choir. 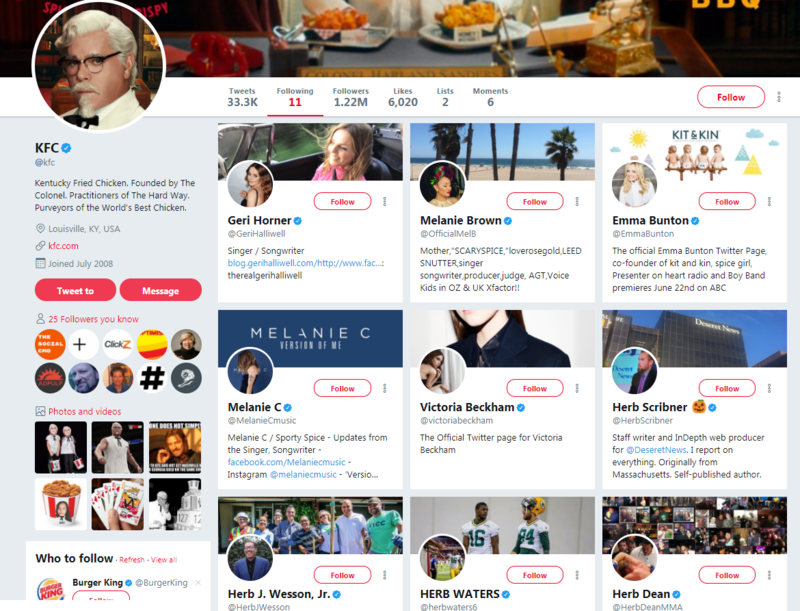 KFC’s Twitter account follows just 11 people. 6 Spice Girls, and 5 guys named Herb. GET IT?? Why it’s hot: When this clever Easter egg was discovered, Twitter fans went bananas, generating viral engagement with little to no effort and generating earned media hits for the fast food chain. It comes off as something that was an off-the-cuff, “what if we…” suggestion, which we should never forget is where some of the best ideas come from. “Inspired by service-design overhauls at companies such as Disney and Carnival, CVS is hoping to rethink the entire pharmacy experience.” The chain recognized that it needed to do more to give its customers a reason to visit their brick and mortar locations (not a unique problem facing retail right now, but unique in that CVS deals in prescription drugs). So instead of focusing on just one problem or one solution, they’re looking at a complete overhaul of the experience, with the goal of increasing loyalty and adherence – repeat trips to the pharmacy, and repeat retail purchases. They’ve started the journey by hiring designer Deborah Adler (she’s behind the pill bottle color coding system used by Target and later declared a “Design of the Decade”). 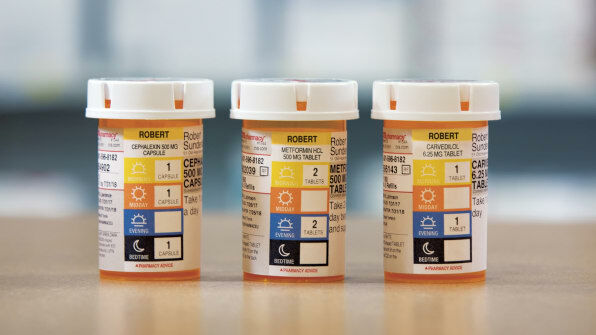 The revised take on CVS’s bottles allows patients understand at a glance when they need to take their medication and how much. Why it’s hot: This is another example of a brand taking a more holistic, end-to-end experience approach to loyalty and marketing, and using data to inform what will (hopefully for CVS) be a ground-breaking design solution. This approach could open doors to additional marketing opportunities and collaboration for our healthcare clients, too. Why it’s hot: The new feature also lets users block individual third party ads and advertisers. 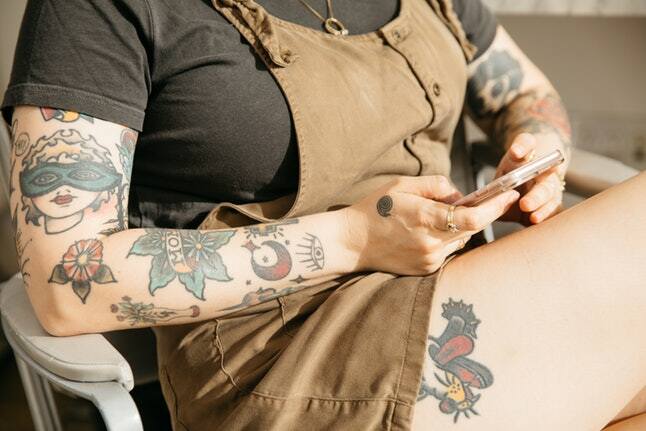 Understanding who is blocking an ad and more importantly why is valuable feedback for strategy, media and creative to consider when the next opportunity to optimize assets or message this audience comes along. 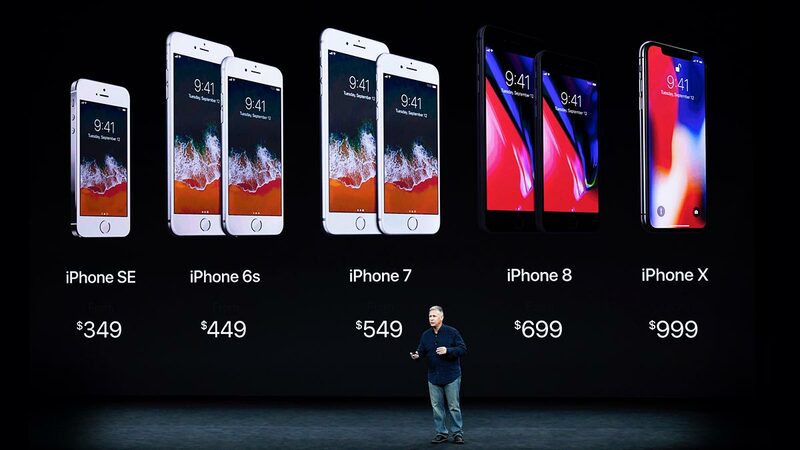 Experts have been responding to criticism of Apple’s pricing for the new iPhone X. Clocking in at $999, it’s the most expensive device yet – the defense being that this is all part of Apple’s strategy. According to Harvard Business Review, the high price tag is all part of a mind game where brands convince consumers that a high price tag equals luxury, value and purpose. 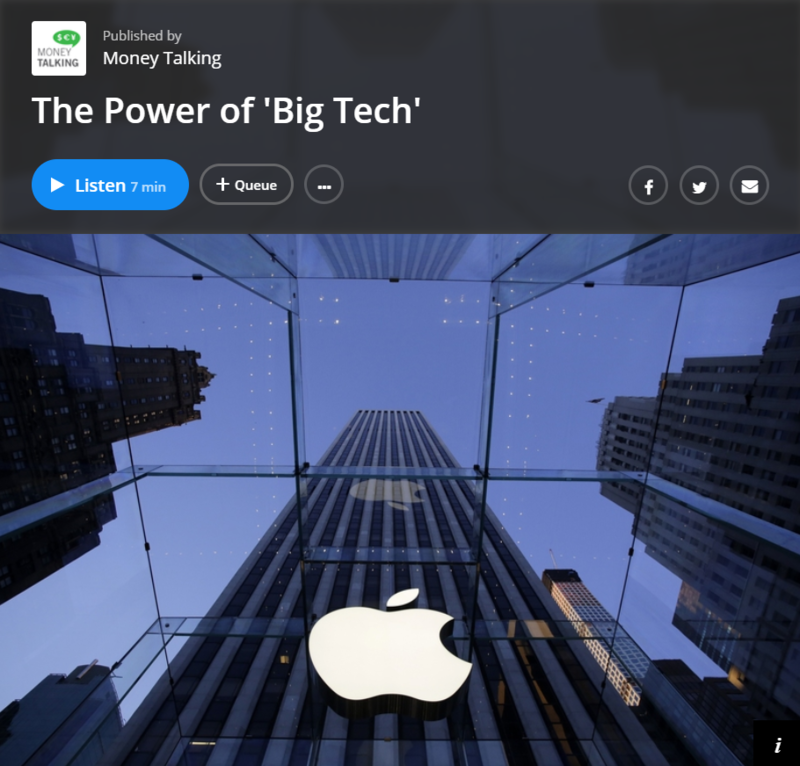 Why it’s hot: The high price tag generated a huge amount of earned media and social chatter, and Apple’s lead analyst predicts that 30-40% of the brand’s customers are willing to pay the price. Now it’s on Apple to deliver (or risk a serious backlash from its most devoted fans and big spenders). Could touting a higher price as a good thing be a messaging strategy for other brands? BONUS! Listen to this episode of the Simplify podcast with Wharton School professor Jonah Berger (the author of author of Contagious: Why Things Catch On and Invisible Influence: The Hidden Forces that Shape Behavior) on influence, free will, and marketing. 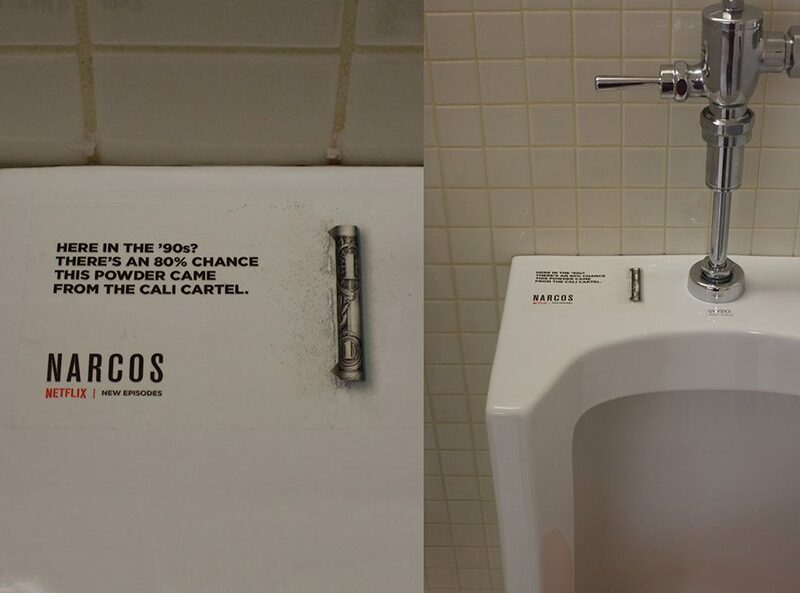 Netflix is promoting the upcoming season of its original series about drug kingpin Pablo Escobar with clever ads. • Every three hours, the Cali Cartel made $917,000. 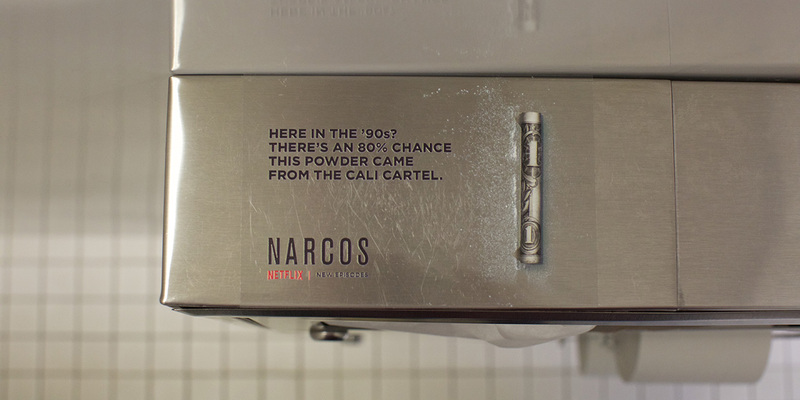 • In 1995, the Cali Cartel earned more than Pablo Escobar and any of that year’s Fortune 500 Companies. Why it’s hot: It was probably pretty cost effective, it’s memorable, simple, and it grabs the attention of a “captive” audience. And let’s face it, I’m betting a lot of people are taking photos of these ads with their phones while on the throne and sharing them on social media. When Emergency Alerts Are Written At A College Reading Level, Who Gets Left Behind? With hurricanes and tropical storms top of mind this month, this article bubbled up as a good reminder of the importance of readability in communicating messages to our audiences. 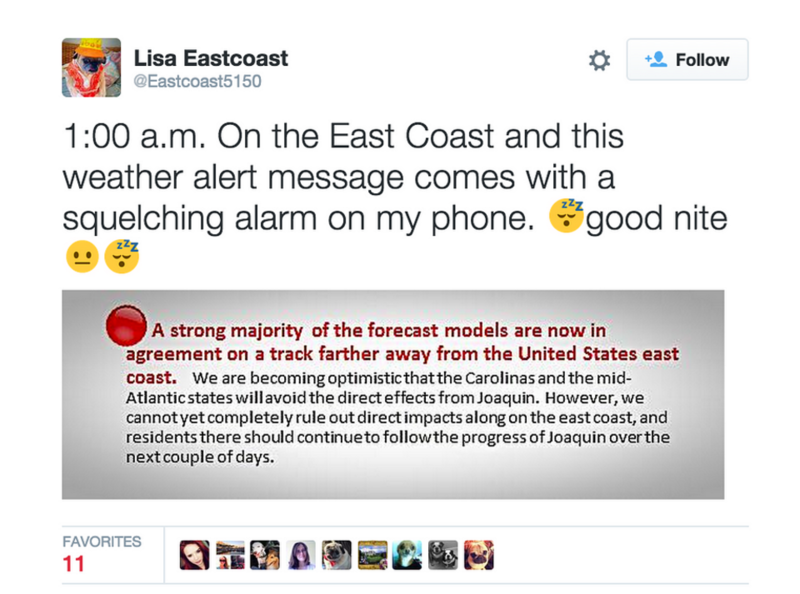 It highlights the disconnect between the reading level and assumed digital literacy required to comprehend and act on weather-related warnings, and the actual audiences they’re intended to serve (a wide range of people with varying education levels and technological abilities) – emphasizing that readability doesn’t just refer to reading level, but to taking in the whole experience and skill level of a person on the receiving end of the communication. How well can they read; how well can they understand what is meant by different wind speeds and other measurements; and how well equipped they are to know where to look for more information. 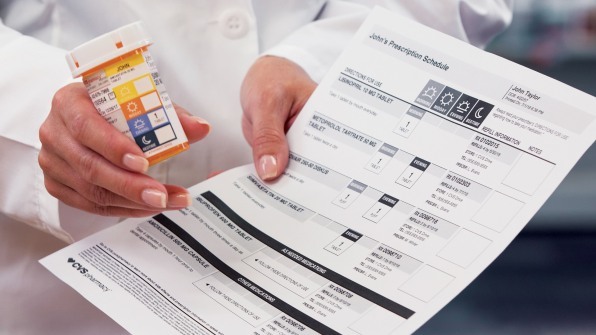 Why it’s hot: Marketing messages don’t usually equate to a life or death situation, but when we consider things like medication adherence, food allergy warnings, or crisis communications, they come a little closer. Understanding that readability involves not only the text in a communication but also its context and the computer literacy of the audience helps us bring UX, copy, design and experience even closer together. 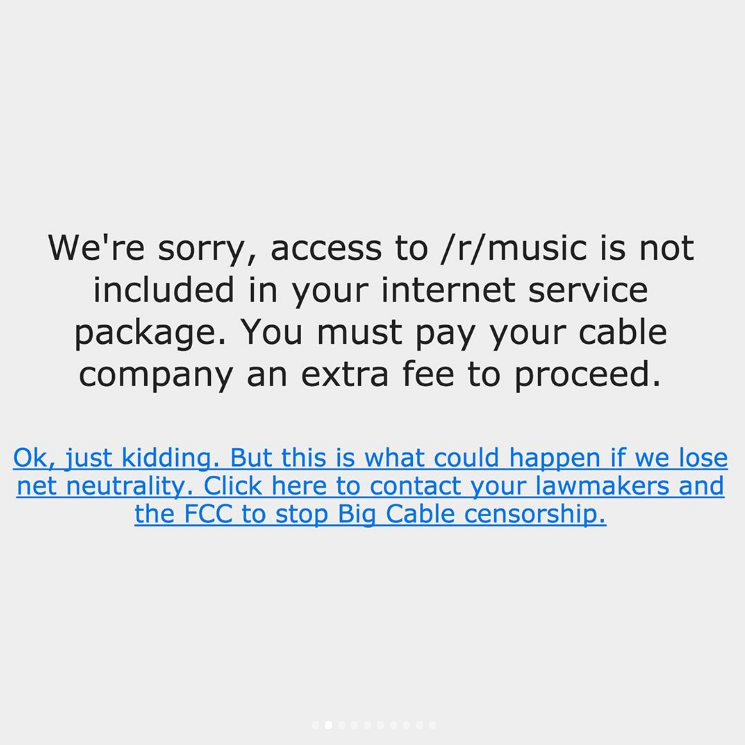 Who cares about net neutrality? 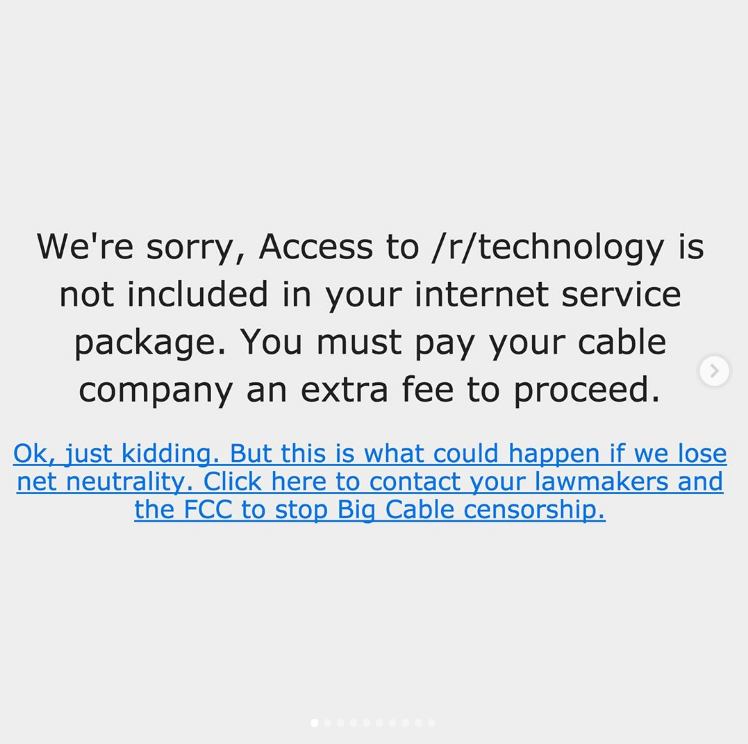 On July 12th a long list of internet companies participated in a “Day of Action” in support of net neutrality. Keeping it light this week (sort of?). It’s always a fight to remain objective when distilling research and data into the insights that become the foundation of our strategies. Here are a few food for thought resources that might make for some good holiday weekend reading & listening! Sometimes repurposing an asset for social isn’t as cut and dried as a quick video edit. 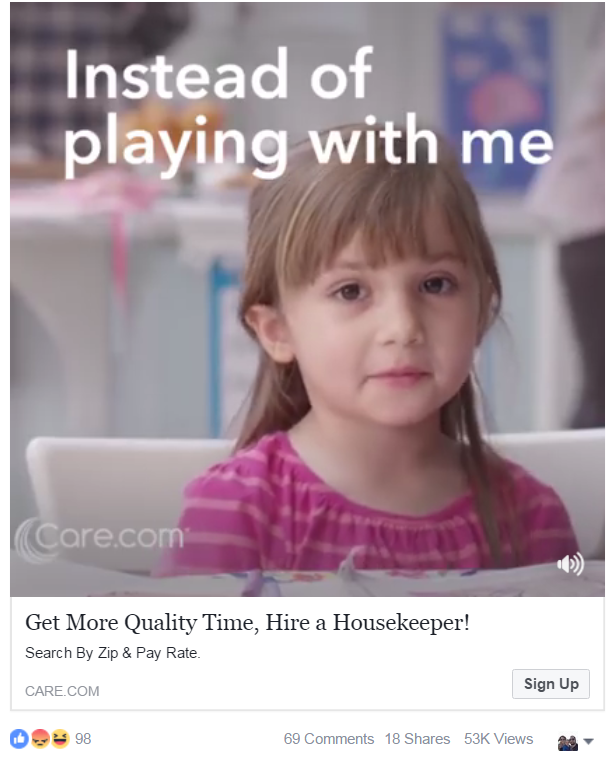 The ad appears to tactlessly leverage a pouty, sad little girl to guilt parents into hiring a housekeeper. Does guilt really inspire action and create a positive brand connection? It’s a risky gamble, especially in social. 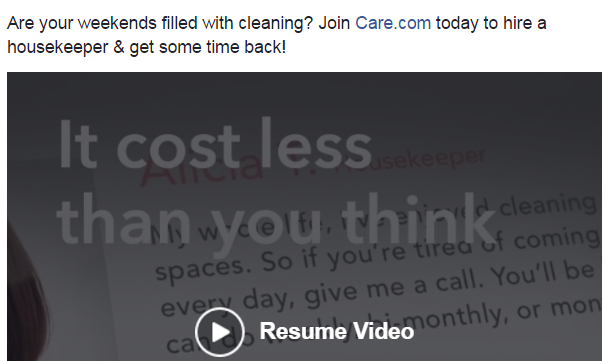 The Facebook edit fails to consider how the content comes off without the context of of the longer-form commercial. Repurpose with care. 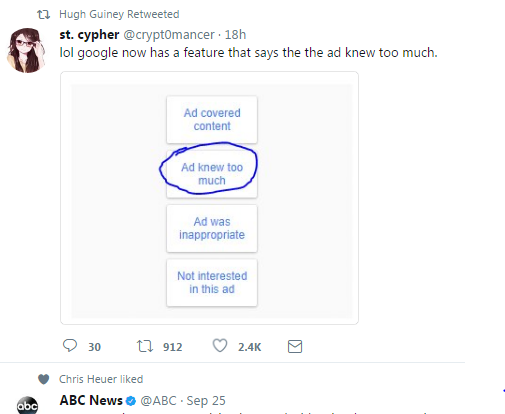 They ran the same ad before, and got the same response. Then changed nothing, and ran it again (without responding to community comments). Maybe they targeted the wrong people? 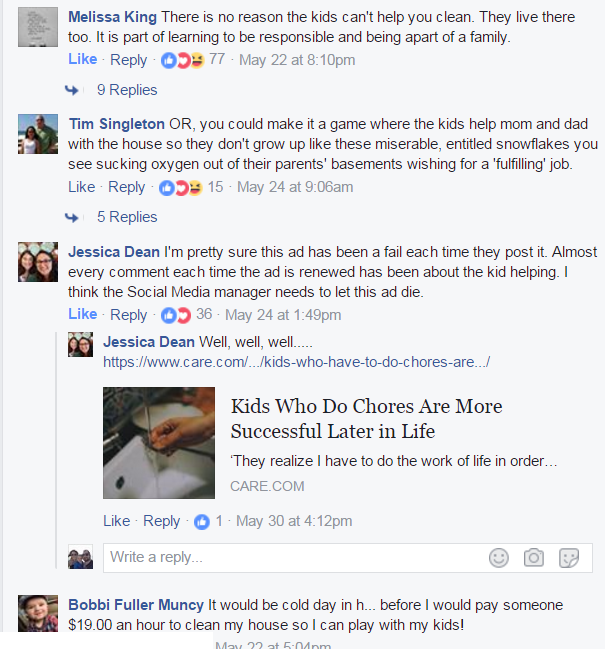 The ad goes against the advice and values they push in their own web content – as directly pointed out by viewers of the ad. There’s also a typo. Oops. Why it’s hot: It’s not that hot, but I saw this ad twice and it bugged me enough to keep me thinking about it. It annoyed me as a parent, sure. But it annoyed me more as a content strategist. Not sure how much was spent on this, but the investment could have had way more impact and positive feedback. Alamo Drafthouse is a movie chain known for off-the-wall screenings: for a horror movie, they handed out gas masks and drove moviegoers into the woods on a school bus. It screened Pirates of the Carribean on a boat, etc. When they announced an all-female screening of the new Wonder Woman film, “it didn’t sound all that edgy,” reports NPR. But some took offense. 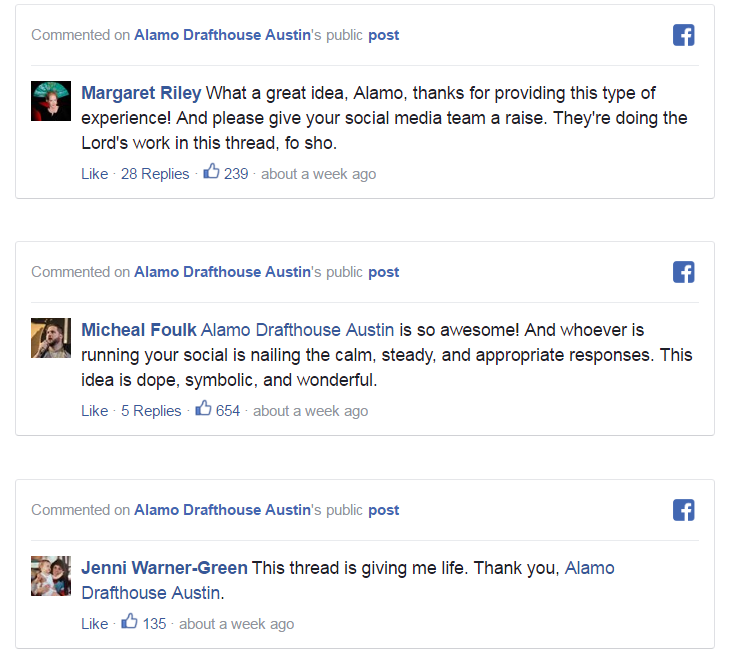 Why it’s hot: Alamo’s handling of what would have been a PR and social media crisis for so many other brands was fantastic. They took the complaints in stride, having the guts to respond to trolls and complaining patrons in a way that retained their values and reinforced their brand. 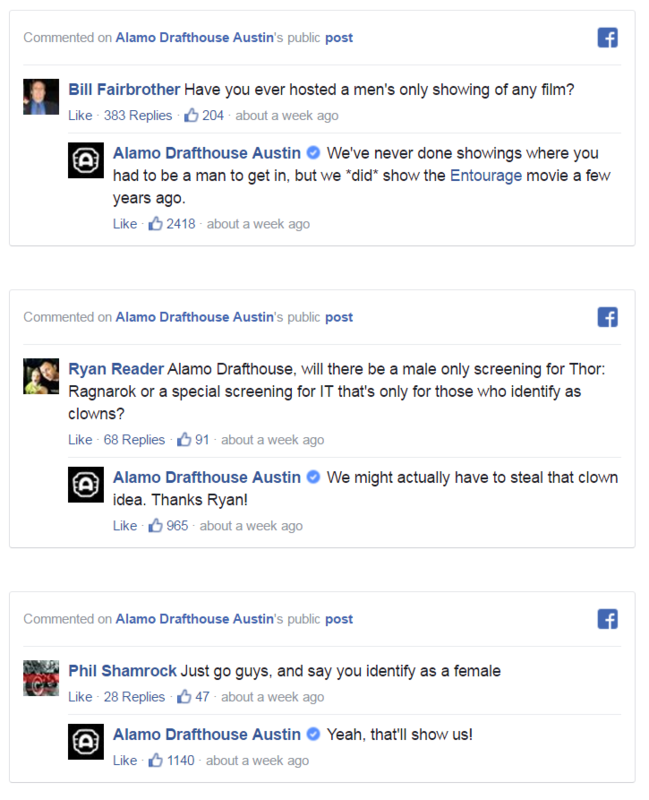 They even scheduled a second women-only screening. That takes some balls. 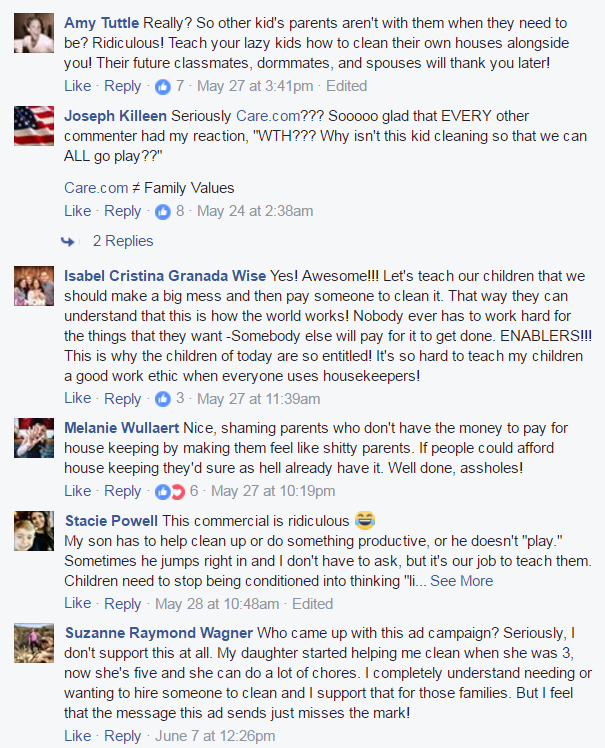 And they were rewarded for it, with tons of praise from their social media followers. It’s a simple idea: turn a selfie into cartoon character stickers (emojis) of yourself. Google’s new Allo app, touted by the company as a “smart messaging app” that lets you “express yourself better” includes this new AI feature that uses your smartphone camera and facial recognition technology to generate detailed facial expressions to suit every emotion. According to Fast Co, Google thinks there are 563 quadrillion faces that the tool could generate. It’s another layer on personalization in social media and messaging apps that Snapchat and Instagram will look to integrate. It could also mean the end of Bitmoji as we know it. On a deeper level, there could be many applications outside of entertainment for this type of technology. If you can use AI to better express how you feel to a doctor or nurse, for example, a whole new world of communication could be opened up. And going broader, there’s a big question: as messaging apps get smarter and smarter, do our interactions through them become more or less valuable? When AI is the go-between, are we better expressing ourselves, or is it a substitute for real interaction? 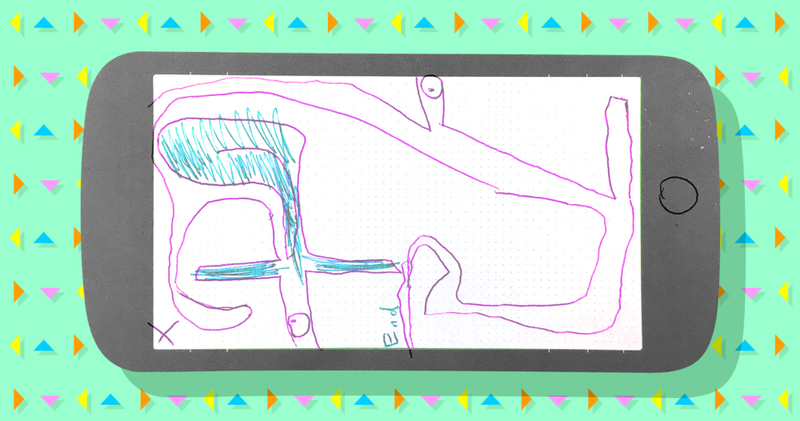 Co-designing with kids yields gamified, engaging, and actually useful stuff. Who knew? The article provides an overview of the concept of co-design – designers partnering with users (this is not testing but actually being part of the design process) and what the outcomes can be. Why it’s hot: Thinking about strategy and design the way a kid would can help us get to a simpler truth.